According to Techopedia, an enterprise application (EA) is a large software system platform designed to operate in a corporate environment such as business or government. EAs are complex, scalable, component-based, distributed, and mission critical. EA software consists of a group of programs with shared business applications and organizational modeling utilities designed for unparalleled functionalities. 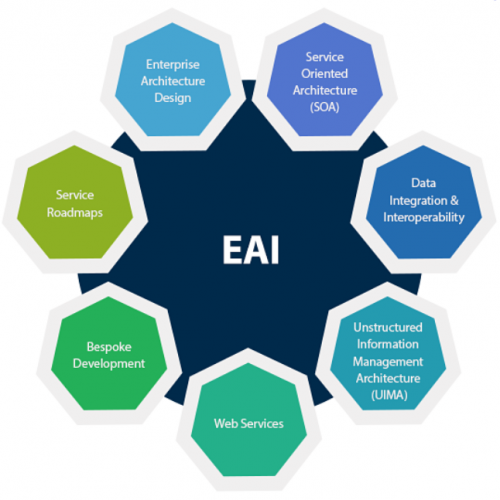 EAs are developed using enterprise architecture. Now, once you decide to employ an enterprise application to your business, there’s obviously a problem you are trying to solve. Whether it is to bring onboard efficiency or to streamline your business operations, you should look for the right EA. But depending on the cost constraints, you may be forced to choose an Enterprise Application that does not espouse your ultimate goals. For this reason, you should outline all the requirements that you feel should be included in your preferred enterprise application. Go for the right apps. One of the major problems businesses grapple with is choosing the wrong enterprise application for their users. One of the initial processes in getting an enterprise application is to involve all the users. Once the users identify areas they would want to improve on, you could head shopping for the right enterprise application. You will have incurred more expenses and time. Another way to get a cost-effective and user-friendly enterprise application for your business is to forecast your future business interests and align them with your enterprise application. Apart from just looking at your present needs, you may need an enterprise mobile application development for ease of access by your users. This is because software is dynamic. What looks trendy and helpful now may not be as helpful in the next six months or less. To save on upgrade costs, always sign up for the latest technology. In a world where the bad guys are always trying to force access into business strong rooms, it is quite important to prioritize security of your business as well as that of the enterprise application. This would ensure you remain protected from unfavorable eventualities and setbacks that could destabilize your business. Some cyber attacks could bring a business to its knees. As such, you should ensure you employ quality security features in your EA. Once your business acquires its choice enterprise application, some other costs exist that are not necessarily connected to the development of the software. For the purposes of efficiency, you will have to conduct annual maintenance of the enterprise application. These are necessary processes to ensure bugs are fixed, upgrades conducted, and inefficiencies are identified. Training your staff on the new enterprise application will take up a significant amount of your business’ resources. These are time and finances. To save on these costs, you should consider involving your users throughout the process of the EA development. For businesses seeking to stay ahead of the technological curve and weather strong competition, Enterprise Application is a great way to start. However, with these tricks up your sleeve, you will not have to break the bank to acquire a great EA for your business.